Legislature is often used synonymously with the term parliament. Legislature is derived from the Latin word “Lex”, meaning legal rule through legislation, and “Parliament” from the French verb “to speak”. Legislatures in the classic scheme of government were the law making bodies. Today it is associated with a multitude of functions and has undergone phenomenal structural differentiation. For instance, to exercise control over executive, one of the important functions it performs, various legislative committees and innovations in the interpellation procedure have sprung. Or, legislature is the site where most national “leadership” is trained in participatory democracy. Nevertheless, dialogical discourse in the form of contestations, deliberations and constitutive ethical laws remains at the core of the political process being situated in legislatures. In December 1946, when a constituent assembly was convened to work on the principle of “constitutional autonomy” as K.C. Wheare puts it, and to provide the structural arrangements of State power, it became quite evident that India would have its own legislature. The Government of India Act 1947 further made it clear, by abolition of the sovereignty and responsibility of British parliament, the crown no longer to be the source of authority and the constituent assembly to have dual function, constituent and legislative, till the framing of new constitution and the constitution of new legislatures, that India embarked on the process of democracy and development, with parliamentary government integral to its political system. The constituent assembly, therefore, framed the legislative provision of the constitution with the aim of creating a basis for the social and political unity of the country. Partition had made this task difficult. 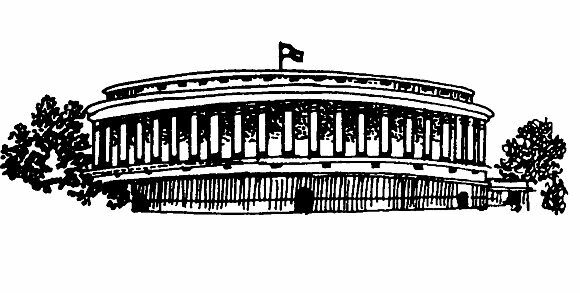 The legislature in India, functioning within the parliamentary system, is the totality of Central, State and local legislatures, their formal and informal arrangements, with interlinkages and their interaction with the other state bodies and environment. The central legislature, also referred to as Parliament, consists of the President and the two Houses - Lok Sabha (House of people and Lower House) and Rajya Sabha (council of states and Upper House). The State Legislature shall include Governor and two Houses (Legislative Assembly and Legislative Council) in some of the states or one house (Legislative Assembly) in the rest (Article 168). The local legislature - Gram Sabha and Municipality- is an institution of self government constituted by the Constitution. The 73rd and 74th Amendment are still in the process of acquiring substantive legislative power to be devolved by the concerned state.